Here is the next “Deal of the Day. 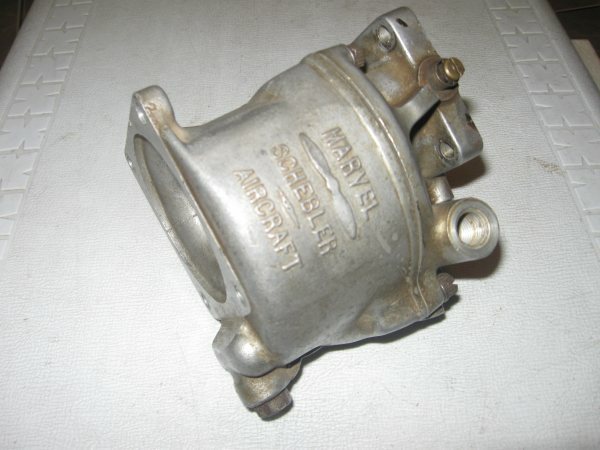 It is an MA3 carb. Please note that it is not an MA3-SPA, the primary carb we use. The difference is that the SPA model has an accelerator pump, which also does a good job as a primer. 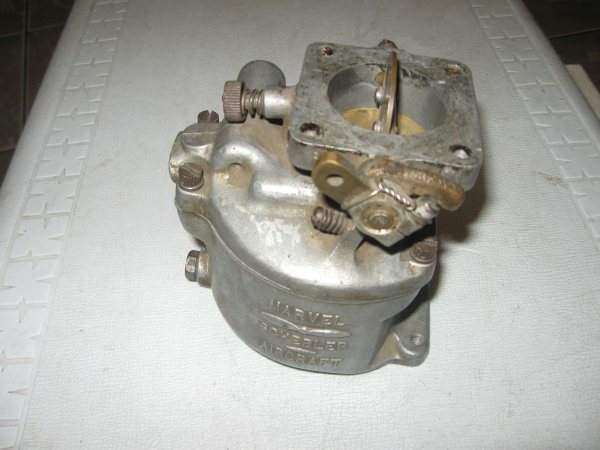 Additionally, this carb does not have in flight mixture control. Functionally, the carb below is much like a Stromberg NAS-3. The person who puts this on their plane is going to also install a primer. This isn’t a big deal, and virtually every plane that has a Stromberg or even an Ellison has a primer. Only the MA3-SPA gets away without using one. 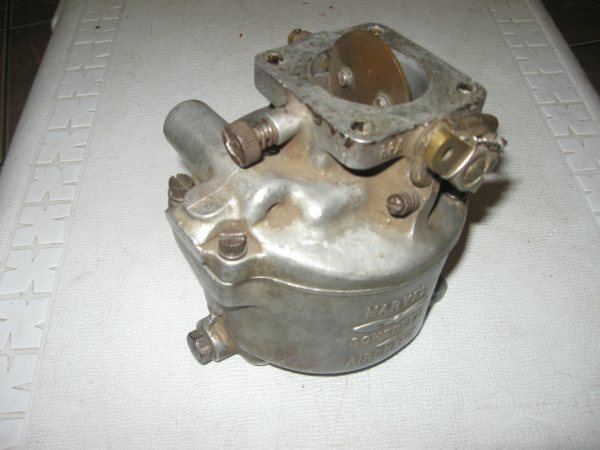 I am thinking the most likely home for this carb is a Pietenpol or other fairly simple type of plane, but it does have the ability to withstand fuel pressure, so it could be used on a low wing aircraft with fuel pumps. It is not restricted to gravity feed like a Stromberg. Why not just use an SPA instead of this MA3? Simple: Cost. The Core value of a rebuildable MA3-SPA is $500 to $600. This carb, which I am pretty sure will run as is, and is certainly a great candidate for a simple tune up (the throttle bushings on it are in very good condition, this is the hardest part of a rebuild). We are selling this as is for $150. Above, carb is dusty but complete. It will bolt directly to our standard intake manifold. It has a short throttle arm, but this can be replaced with a longer one. This uses the older style arm which is worth a lot less than the new style one.